CD Betmar Singles/Mingles Results for 2017 07 17. 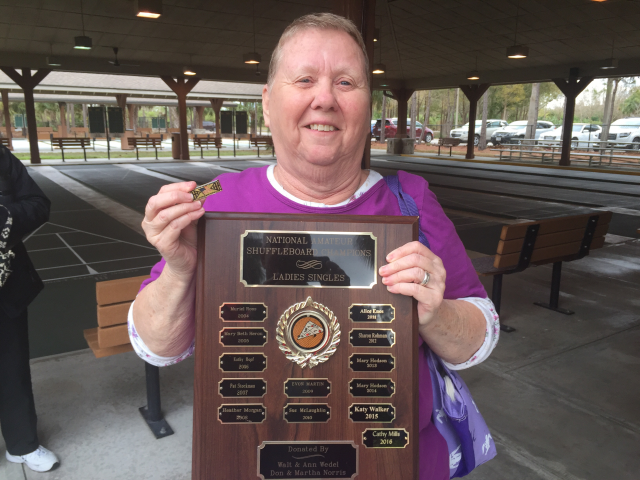 Pauline Murphy, Zephyrhills Shuffleboard Club, won the Betmar Singles/Mingles Pro Championship on Monday, July 17th, by winning 7 of 8 matches. She won one of her match 11-4 by scoring the final hammer. 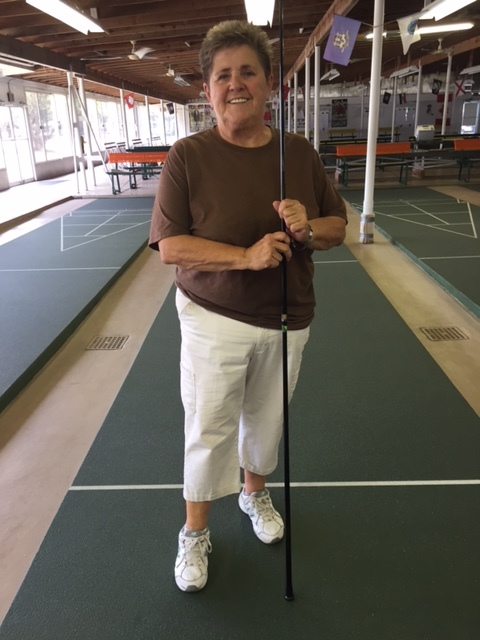 The last shot of the last match gave her victory when her partner drove a dead block forward on the last shot of the day taking himself out of the kitchen giving her victory by 4 points. Carol Wallin, ZSC, won the Amateur Division by out pointing the opposition in the last game on the last shot. 1 Response to CD Betmar Singles/Mingles Results for 2017 07 17. Great Job Pauline ! Congratulations !